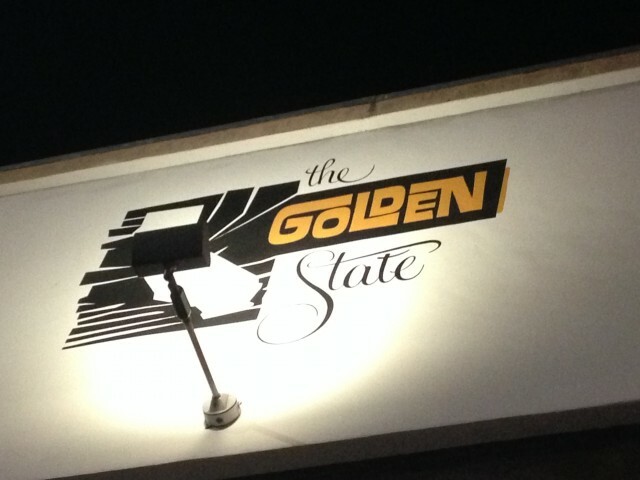 The Golden State on Fairfax was at one point touted as having the best burgers in Los Angeles. 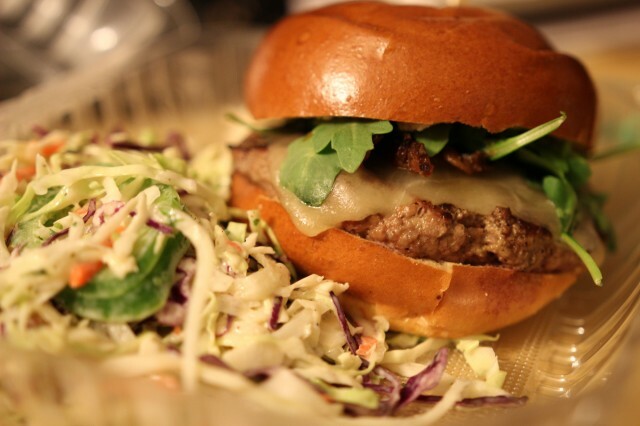 I am a burger snob, and I can say that if the time was taken, I can one dope burger. The menu is simple: burgers, sandwiches, salads, and sides. They even have Let’s Be Frank hot dogs as well. After trying a few years back, I realized a blog post is well overdue. I always get the original called “The Burger.” The patty is made with Harris ranch beef. It is topped with Fiscalini Farms cheddar, applewood smoked bacon, arugula, aioli, ketchup. I got it with a side of jalapeño cabbage slaw wich is made with cabbage, carrots jalapeño, and red wine vinaigrette. Literally, all the ingredients listed were so fresh and exactly how I would want it. Nothing was soggy, or over done or underdone. It is like they knew what I wanted and met every specification. The beef was pure and delicious. I would have liked a better crust on it, but it was still quite nice. I always prefer the fake American cheese on my burgers, but the Fiscalini Farms cheddar had a complex flavor that gave the burger some maturity. 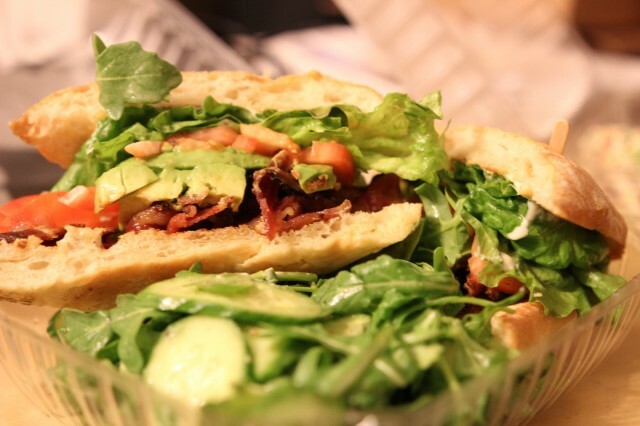 The BLTA: bacon, lettuce, tomato, and Avocado was a favorite of mine. Adding the avocado made everything creamy and cohesive. The bread choice wasn’t my favorite, but the ingredients inside made everything perfect. The side cucumber salad was amazing with this sandwich. Persian cucumbers, arugula, lemon vinaigrette all mixed together went so well with this bacon filled beauty. 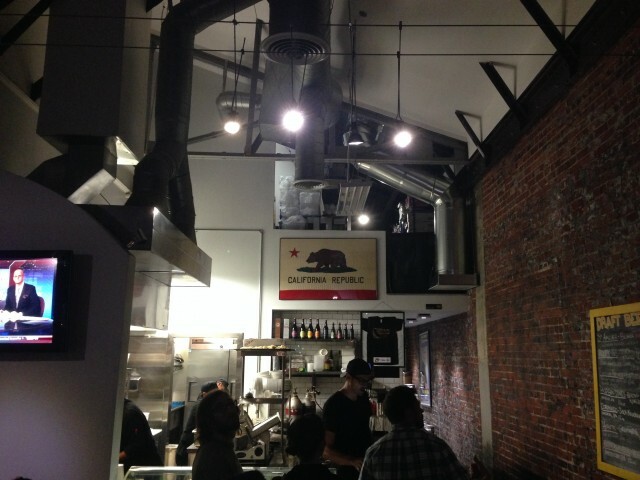 The small shop pumps out some massive and delicious burgers. They really know what they are doing and know what they are talking about. The fresh ingredients and blend of flavors really went well. Nothing was over the top or gut busting. The burgers just had so much balance and maturity.